1. If needed, trim lash to fit your eyes. 2. 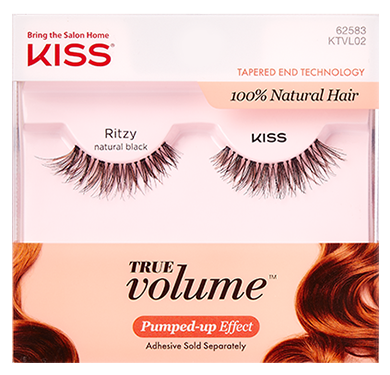 Apply Kiss strip lash adhesive to lash band; wait 30 seconds for adhesive to become slightly tacky. 3. Using the applicator, apply lashes along natural lash line. Hold allowing adhesive to dry completely. 1. Gently peel off ash strip, starting at the outer corner. 2. Use oil-based eye makeup remover to remove excess adhesive from lash band and eyelid. 3. Place lashes back onto the tray for future use.